A home office is meant to be a place to work, whether you’re managing the business of life for you and your family or are lucky enough to have an employer who allows you the privilege to work from home. 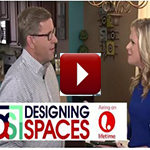 Creating the proper environment and spending your time wisely in your home office will save you time and stress. Proper Lighting – Take advantage of natural lighting if you can. However, if you’re someone who prefers to work late in the evening, you’ll need good task lighting in order to lessen eye strain. Comfortable Chair – When you work from home, much of your time is spent sitting. Invest in a comfortable, ergonomic chair. You’ll feel better and your back will thank you in the long run. A Desk Tailored for You – What do you plan to do at your desk? If your work is primarily done on a computer and entails very little paper, a small desk will do you well. However, if you like to spread out with paper reports and reference material close by, you might choose a larger desk or an L-shaped one. If it’s more comfortable for you to stand and work, consider an adjustable desk. Inbox - Ensure you have one place for paperwork and other items to land until you can deal with them, i.e. an inbox. Incoming items like meeting notes, business cards, and items to read should be placed in your inbox, rather than dumping them in a pile on your desk. Set a weekly appointment on your calendar to go through your inbox and process the items inside — add items to your to-do list or calendar, enter into your contacts, create a project file, put in a portable “to-read” folder, etc. 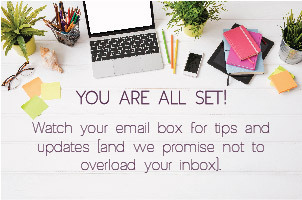 Keep in mind your inbox is a holding spot that’s meant to be emptied. It’s not a file cabinet! The 2-Minute Pick Up – Before leaving your office, spend two minutes throwing away obvious trash (coffee cups, food containers, random sticky notes, etc. ), putting supplies like pens and paper clips back in their drawer or container, and jot down notes about what you need to do the next day. Clearing your head is just as important as clearing your physical space. Schedule File Time - No one likes to file paper, but it won’t magically file itself either. 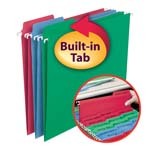 Create a file system that is easy to use and easy to access so that you can find what you need when you need it. Then schedule regular intervals to file the paperwork you need to keep. 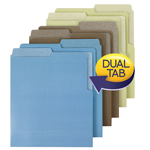 Office Supplies – These should be within easy reach and you should have a supply on hand so you don’t have to head to the store or await a delivery when you run out of something. A well-supplied office contains: pens, pencils, sticky notes, paper clips, binder clips, a stapler, a tape dispenser, file folders, mailing supplies, etc. Label Maker – Keep it close by and as common place as your stapler. 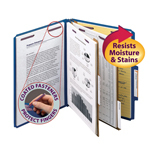 You can label files folders, containers, shelves, drawers and other areas for easy identification of where everything goes. Your 2-minute pick up will be a breeze! Scanner – If you’re aiming to have less paper in your office, a good quality scanner will help get you there. Create Structure and Routine – There are so many distractions when working in a home office, it’s easy to lose focus. Set-up routines that work for you and your particular situation. Determine your office hours and stick to them. Process emails at scheduled times rather than letting them overtake your day. Allow for breaks in your day so you can refresh and recharge. Know your priorities so you’re less overwhelmed and can put time and energy into what is important. Follow these 4 simple steps and you will find your home office can be a productive and stress-free environment! 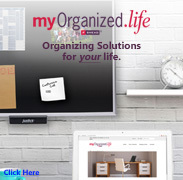 Lori Krolik is a professional organizer and productivity specialist and founder of More Time For You. 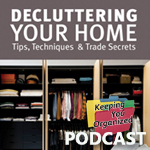 For over 18 years she’s helped residential and small business clients create systems out of their most serious clutter challenges. Whether its piles that prevent a home from functioning the way it should or paper piles that impede office productivity, Lori brings the expertise and insight needed to create an organized system that is personalized to a client’s space and lifestyle. Lori became a Certified Productive Environment Specialist in 2010 and is a long time member of NAPO (National Association of Professional Organizers).